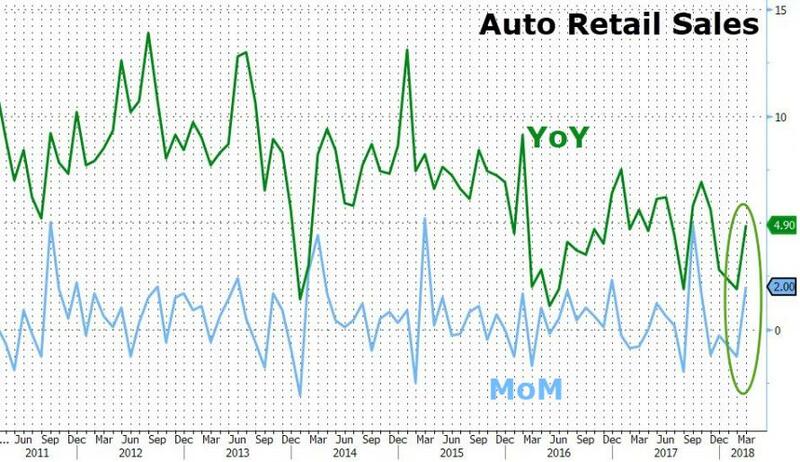 After 3 straight months of declines, March retail sales surprised to the upside bouncing 0.6% MoM (+0.4% exp), but ex-autos/gas was a disappointment (rising 0.3% vs 0.4% expectations). Eight of 13 major retail categories showed increases. Sales at health and personal-care stores rose 1.4 percent, the most in two years. Auto sales rose 2 percent, the most since September; a report last week showed purchases of cars and light trucks rose to a 17.4 million annualized rate in March, the fastest this year. 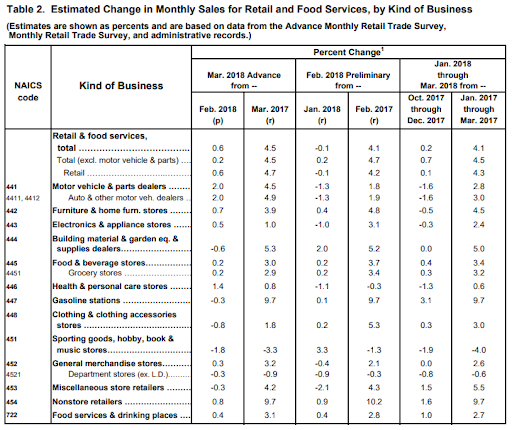 Weaker categories included building-materials stores, which fell 0.6 percent; apparel-store sales, down 0.8 percent; and sporting goods, hobby, book and music stores, which declined 1.8 percent, the most since December, the data showed. The data on Monday also showed that a decline in gasoline costs, as reported last week in the Labor Department’s consumer price index, may have weighed on filling-station receipts. 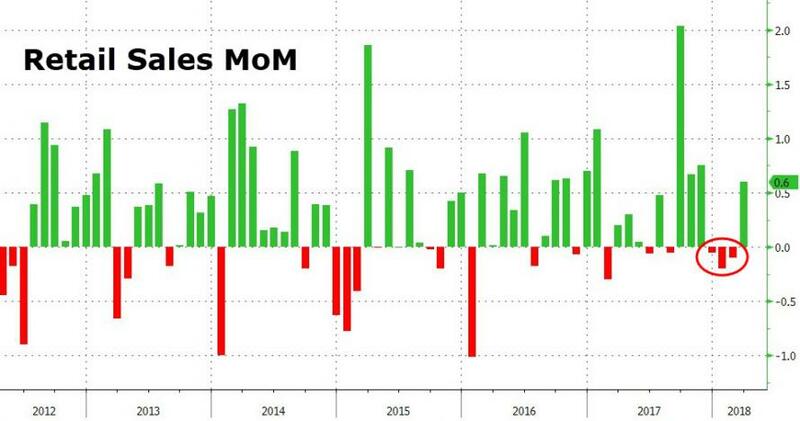 Gas-station sales dropped 0.3 percent, the most since July, according to the Commerce report. Excluding automobiles and gasoline, sales advanced 0.3 percent for a second month.